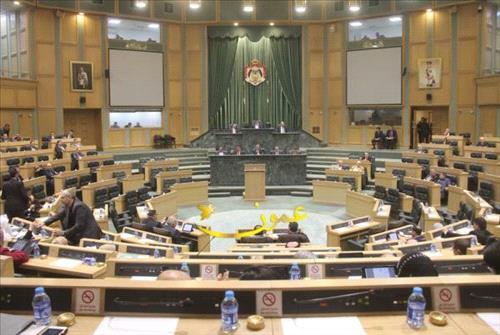 AMMONNEWS - The Lower House of Parliament on Sunday urged the Arab Summit, scheduled to kick off today in the Saudi eastern city of Dhahran, to provide an umbrella to address conflicts in Yemen, Syria, and Libya. House Speaker, Atef Tarawneh, called in a statement to rein in repercussions of the foreign powers' interference in the Arab countries' affairs, spurring them to address their crises to achieve peace and security for their peoples that have been suffering for long. The statement blasted all forms of foreign interference in Syria and in all Arab countries and condemned the missile attacks targeting Saudi Arabia, which were ignited by regional powers, and deemed them as a threat to Arab security. On resolving Syria crisis, the statement said the only solution to the Syrian conflict is political, adding "and the war we want is against terrorism, which ravages the people's security." On internationally-banned weapons, the statement asked for unbiased international experts to take into consideration ending the Syria war. It hoped Syria will maintain its territorial integrity, warning more infighting in the Arab world would only fuel reprisal of the future generations. Parliament took the opportunity to congratulate His Majesty King Abdullah II and HRH Crown Prince Hussein on Isra and Mi'raj occasion, or the Night Journey.